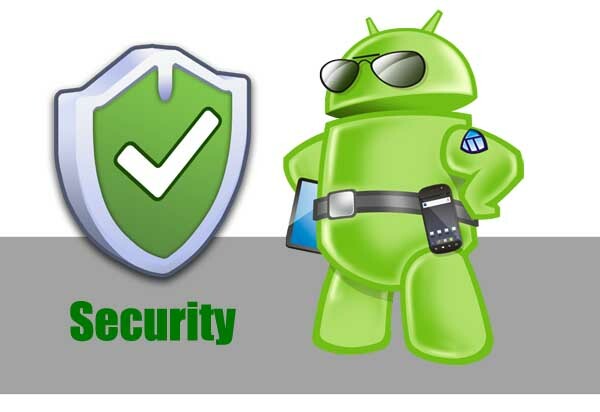 Now that I have talked about a security app that you should use on your Android devices now I am going to show you how to change your security settings in Android itself. 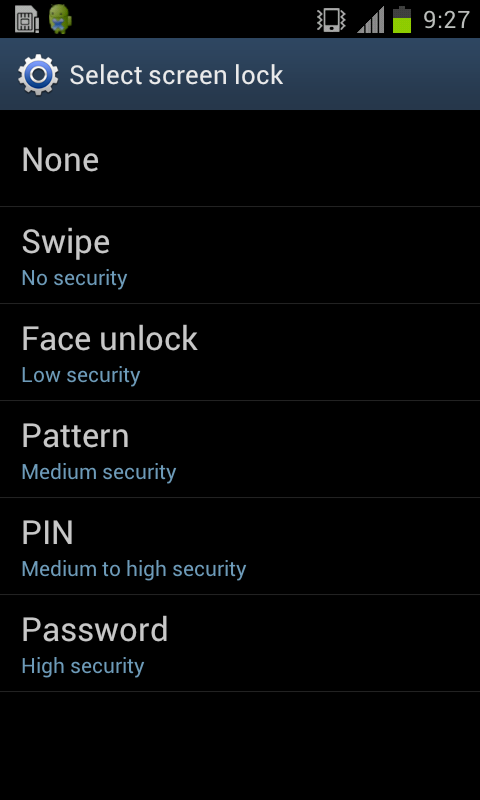 I have added screenshots of the security settings which were taken from a phone running Android 4.0 ICS but you can still set these settings on other versions of Android they may appear different depending on the version. There are several security settings built into Android that you should be using to help protect your phone. The very first security you should be using would be a screen lock of some kind which will prevent anyone from accessing your phone without permission. You can pick from several security locks for your phone. 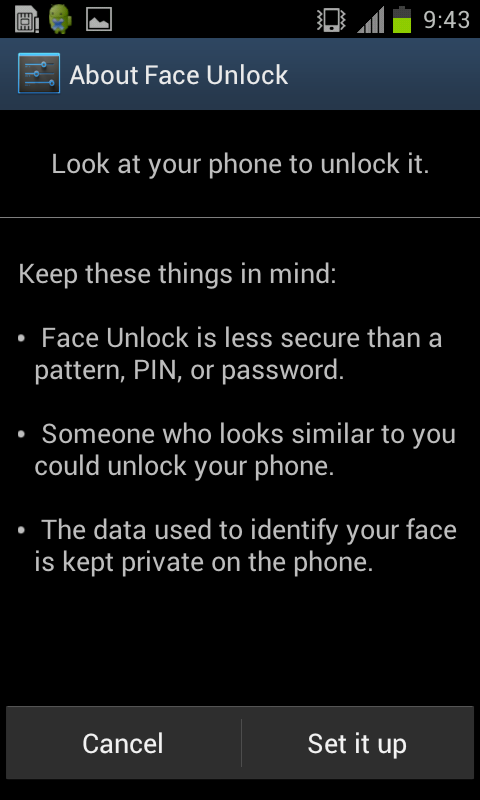 First is the face unlock which is a new security feature in Android 4.0. Face unlock takes a picture of you and to unlock the phone you have to match to the picture. The face unlock feature is not recommended because it does not work as well as other screen locks and if someone looks like you the screen may unlock for them. Face unlock is considered low security compared to the other screen locks but it is better than the swipe screen lock. Pattern lock offers better security for your phone and requires you to make the pattern you created when you setup the security to unlock the phone. 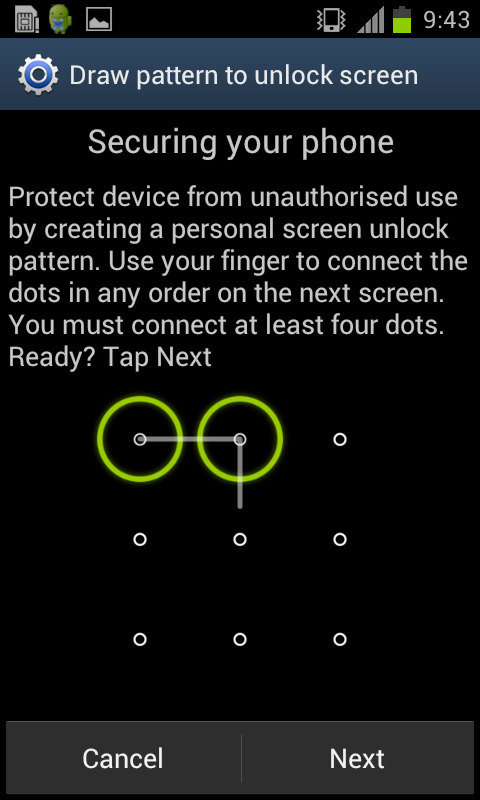 Pattern unlock is a grid of dots and you have to make a pattern of four dots. Your base pattern can be any shape you want so it would take a while to guess what the pattern is but it can be done. To protect your phone better than what the pattern can do you want to use either a pin or password. 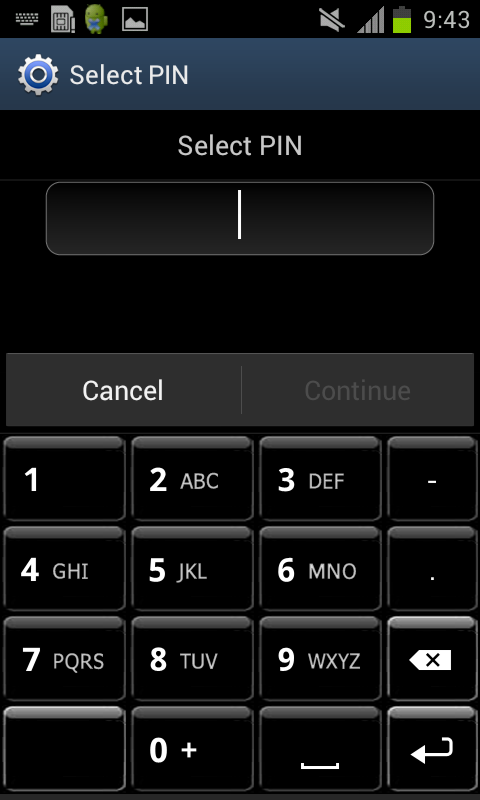 Pin is at least4 numbers that you setup that will need to be entered to unlock the phone. A password is a little more secure and should be different than any of your other passwords. There is additional security settings that you can setup on your Android phone but these should not be done quickly because they can cause you to brick your phone. 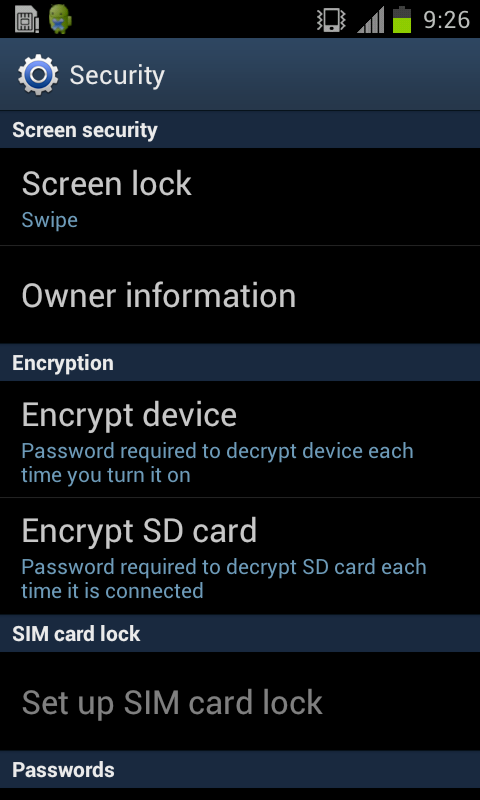 You can Encrypt your phone and SD Card if you want to really make the phone and make it hard for someone to get the data off your phone but by Encrypting the phone you would require yourself to enter a password when the phone turns on and if you setup a screen lock you would then enter a pattern, pin, or password to get into your phone. But by using the steps above to setup both Lookout and a screen lock you will improve the security of your phone and the data installed on it.